You will find below the horoscope of Christina Aguilera with her interactive chart, an excerpt of her astrological portrait and her planetary dominants. Horoscopes having the same aspect Sun sextile Ascendant (orb 0°31'): Drake (entertainer), Sophie Marceau, Bob Marley, Nicolas Hulot, Salvador Dalí, Dakota Fanning, Lorde, Jean-Paul Belmondo, Conor McGregor, Lance Armstrong, Aristotle Onassis, Neymar... Find all the celebrities having this aspect. Horoscopes having the same aspect Uranus square Ascendant (orb 1°20'): Angelina Jolie, Brad Pitt, Pamela Anderson, Jessica Alba, Tina Turner, Gordon Ramsay, Kendji Girac, Shania Twain, Courteney Cox, Fidel Castro, Dolly Parton, Marie Trintignant... Find all the celebrities having this aspect. Celebrities born the same day: Brad Pitt, Joseph Stalin, Katie Holmes, Steven Spielberg, Billie Eilish, Keith Richards, Sia Furler, Paul Klee, DMX (rapper), Laurent Voulzy, Ashley Benson, Ray Liotta... List of all the celebrities born on December 18. Celebrities being the same height: Shakira, Prince (musician), Nicki Minaj, Elizabeth Taylor, Alyssa Milano, Charles Manson, Salma Hayek, Eva Longoria, Hilary Duff, Emilia Clarke, Yoko Ono, Mary-Kate Olsen... List of all the celebrities being 5' 2" tall. Celebrities clicked on in real-time: 577,044,419 times. Christina María Aguilera (born December 18, 1980 (birth time source: Astrodatabank)) is an American recording artist and actress. She first appeared on national television in 1990 as a contestant on the Star Search program, and went on to star in Disney Channel's television series The Mickey Mouse Club from 1993 to 1994. She signed with RCA Records after recording "Reflection", the theme song for the animated film Mulan (1998). In 1999, Aguilera came to prominence following her debut album Christina Aguilera, which was a commercial success with three number one singles on the Billboard Hot 100—"Genie in a Bottle", "What a Girl Wants", and "Come On Over Baby (All I Want Is You). Here are some character traits from Christina Aguilera's birth chart. This description is far from being comprehensive but it can shed light on his/her personality, which is still interesting for professional astrologers or astrology lovers. 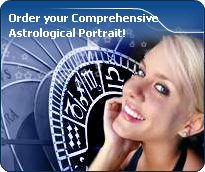 In a matter of minutes, you can get at your email address your astrological portrait (approximately 32 pages), a much more comprehensive report than this portrait of Christina Aguilera. Christina Aguilera, the diurnal South-western quadrant, consisting of the 7th, 8th and 9th houses, prevails in your chart: this sector brings about a thirst for communication and sometimes, a need to take risks in your dealings with others. Relations are a factor of your evolution and your transformation, which you accept serenely. Indeed, what matters to you is the movement and the energy that link you to others and that make you gain more awareness. A kind of rebellion or a desire to get away from it all is rooted in you. Christina Aguilera, Fire is dominant in your natal chart and endows you with intuition, energy, courage, self-confidence, and enthusiasm! You are inclined to be passionate, you assert your willpower, you move forward, and come hell or high water, you achieve your dreams and your goals. The relative weakness of this element is the difficulty to step back or a kind of boldness that may prompt you to do foolish things. Cheers for communication and mobility, Christina Aguilera! The predominance of Air signs in your chart favours and amplifies your taste for relations and for all kinds of short trips, whether real (travels) or symbolic (new ideas, mind speculations). You gain in flexibility and adaptability what you lose in self-assertion or in pragmatism. Your natal chart shows a lack of the Water element, with only 9.30% instead of the average 25%. Whether you are aware of it or not, affective values bring about problems, for you or your close friends. In general, a lack of Water does not necessarily mean that you are unable to love as much as others do. However, you may find it difficult to express the deepness of your heart and of your feelings. In the best cases, you come to terms with it, you adjust, you manage to show more affection or, why not, you pretend to be really affected! In the worst cases, you get into the terrible habit of repressing these essential values and you tend to forget that they are the basis of the richest and strongest bonds between human beings. The Mutable mode is the most emphasized one in your natal chart, Christina Aguilera, which indicates a mobile character that is curious and thirsty for new experiences and evolution. You are lively and flexible, and you like to react quickly to solicitations, but don't confuse mobility with agitation, since this is the danger with this configuration - and with you, stagnation is out of the question. Security doesn't matter as long as you are not bored. You optimize, you change things, you change yourself... all this in a speedy way. Your angular houses, namely, the 1st, 4th, 7th and 10th houses, are very emphasized in your chart, Christina Aguilera: according to the Tradition, they are the strongest and most dynamic houses. Should the rest of your chart concur, angular houses suggest that you are an enterprising, energetic and assertive woman. Indeed, angular houses are said to generate impulsions and to give a powerful and domineering personality. After this paragraph about dominant planets, of Christina Aguilera, here are the character traits that you must read more carefully than the previous texts since they are very specific: the texts about dominant planets only give background information about the personality and remain quite general: they emphasize or, on the contrary, mitigate different particularities or facets of a personality. A human being is a complex whole and only bodies of texts can attempt to successfully figure out all the finer points. Your thirst for learning is considerable, Christina Aguilera, and you can spend a lifetime studying languages, geography, philosophy and law, particularly. You are open-minded and you want to abolish all kinds of frontiers. The humanist, who is dormant in you, may turn into a “frequent traveller” reaching out to others in order to understand them and communicate with them. You express your opinions and your beliefs with honesty and clarity and likewise, you receive others' views with enthusiasm. You have numerous centres of interest and you may be perceived to be superficial, heedless and over-optimistic. However, if you manage to control your tendency to scattering, all your encounters, all your discoveries can positively influence your philosophical life approach. On the affective plane, Christina Aguilera, you are open, straightforward, spontaneous and you make friends easily because your enthusiasm is expressed jovially, directly and is respectful of well-established moral values. In some cases, you may be opposed to your natal environment or to your family because of your taste for freedom, exoticism or all forms of independence and emancipation. Your feelings are burning and you often get carried away quickly. However, your ability to make friends easily is likely to favour some instability; in order words, faithfulness is not your top priority as long as you have not yet found your soul mate. Ideally, for you, life together must have some degree of mobility and include travels and fresh air. Within your relationship, you need to feel freedom and independence, which you need since your childhood. Under such conditions, harmony and faithfulness can be achieved. The ruler of the Ascendant, Christina Aguilera, is Uranus. It is posited in the sign of Scorpio and makes you appreciate mysteries and the unknown. You need to understand, to solve riddles, and to take action behind the scenes, perhaps so as to be even more efficient. Your criticising skill is a weapon, but it may also backfire on you, just like your sometimes excessive obstinacy. Christina Aguilera, you are so resistant and so solid that you are able to cope with any challenge, any ordeal. You behave with persistence, rigour and discipline. You are so obstinate and patient that no effort is impossible to you, as if sensitivity and emotions were unable to divert you from your goals. With calm and lucidity, even coldness, you face up to things and you plan on a long-term basis. Nothing and no one can prevent you from fulfilling your responsibilities. You are a rock, a hard worker, and your iron will equals your resistance to blows. 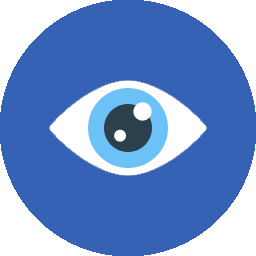 Your practical sense is at the service of your ambition which is real and energetic, even though it may not be obvious. Sexually, you are active and vigorous. If you show more warmth, you may become an excellent lover; indeed, being demonstrative is not your major concern. This text is only an excerpt from of Christina Aguilera's portrait. We hope that it will arouse your curiosity, and that it will prompt you to deepen your knowledge of astrology, as well as to visit and use the wide range of free applications at www.astrotheme.com.